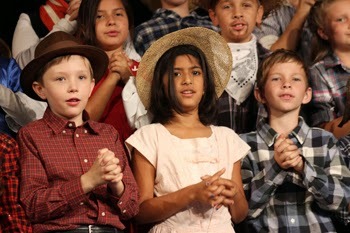 On Thursday, our fourth grade students went for the GOLD! 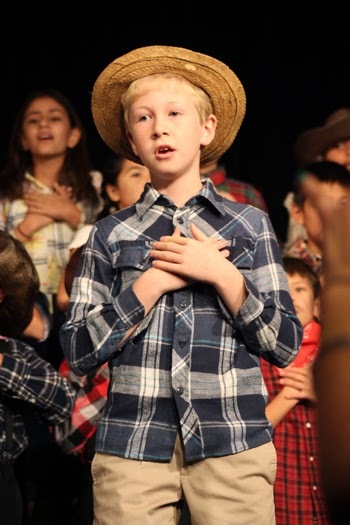 They explored the rich history of California while participating in the musical program "Gold Fever." 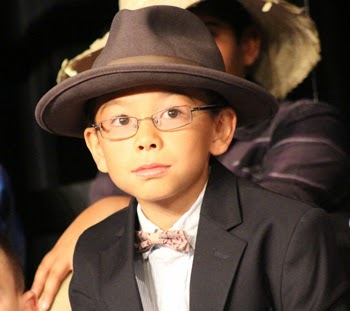 Students brought history to life as they reenacted pioneers traveling overland and argonauts sailing across rough seas to find riches. The students were absolutely wonderful as they shared their talents with us. There's ore in them thar' hills! Let's get some! SCOREBOARD Lady Panthers Complete Perfect Season; Win Tri-Way League Championship! Click here to see the action-packed video. The Fairmont Private Schools - Historic Anaheim Campus junior high girls’ volleyball team completed an undefeated season by taking home the Tri-Way league championship trophy on Thursday, November 6. Led by Coach Katy Kitchen, the Lady Panthers defeated Orange County rival Pegasus in two straight games, 25-16 and 25-17, in the championship match. Traditional volleyball powerhouse Pegasus, with several players also on club teams, presented a formidable challenge for the Panthers. Their defense held firm against a hard-hitting Pegasus team, with the Panther players showing their determination not to let a perfect season slip away. Make Thanksgiving mealtimes even more enjoyable by making traditional favorites attractive to little ones. See how your dishes can be transformed into healthy, kid-friendly favorites in a few easy steps. Motivate your children to eat typical Thanksgiving dinner favorites by encouraging them to participate in making these delicious recipes. Bake yams or sweet potatoes at 350°F for 90 minutes or until caramelized sugar seeps from the skin. Peel, mash, and flavor with orange peel and pumpkin-pie spice. Have children pick out their favority topping: a bit of brown sugar, a sprinkle of pecans or a crunchy layer of granola. You just might win a few converts. Loaded with phytonutrient goodness! Slice carrots or yams into 1/2-inch-wide sticks and toss in a bowl with olive oil and salt or other seasoning. Bake at 425°F on a dark, non-stick baking sheet or foil-lined baking pan until crisp, turning once. For even crispier fries, keep them in the oven a little longer (with the heat turned off). Fill a casserole dish with cored, unpeeled apples. Combine brown sugar, vanilla sugar, cinnamon, and nutmeg into a small bowl and spoon into the apple cores. Dot with a bit of butter, pour boiling water into the bottom of the casserole dish and bake at 375°F for 30 to 45 minutes, or until tender. Baste the apples with the juices from the pan. Yum! Children will be interested in trying a new food item that looks similar to some of their favorite foods. This squash dish looks like spaghetti when cooked. Use a fork to shred baked squash and toss it with garlicky butter along with a bit of Parmesan cheese. Our students and faculty, decked out in their finest Halloween attire, did not skip a beat to "Monster Mash" while parading the campus grounds.